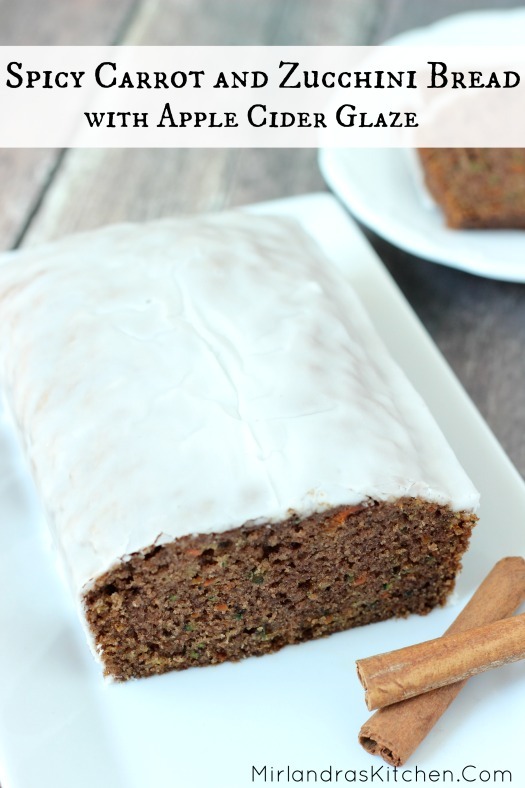 This Carrot and Zucchini Bread has three cups of veggies but is still spicy, sweet and tempting. An lovely apple cider glaze puts it over the top! Everybody I know is obsessed with making zucchini bread all summer long to try to keep up with their gardens. 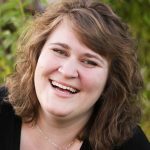 Heck, in Oregon we even ding dong ditched zucchini around the neighborhood just to get rid of it! I get it, I do. The plants are vegetable producing monsters! But plain old zucchini bread just does not do it for me. 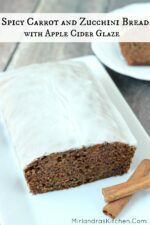 My favorite version is moist, succulent, spicy, glazed and contains carrots AND zucchini! Who can argue that dessert with two kinds of veggies in it is bad for you? Well, in this case anybody that saw the sugar content but let’s not get distracted! The killer combination of the two veggies gives you more flavor and better texture. It is also more colorful! You can use any apple cider you like for the glaze. Every one has a unique flavor. My favorite is sparkling cider or fresh pressed cider from the farm. I always love to hear from you. What is your favorite way to use up a bumper zucchini crop? Love Quick Bread? 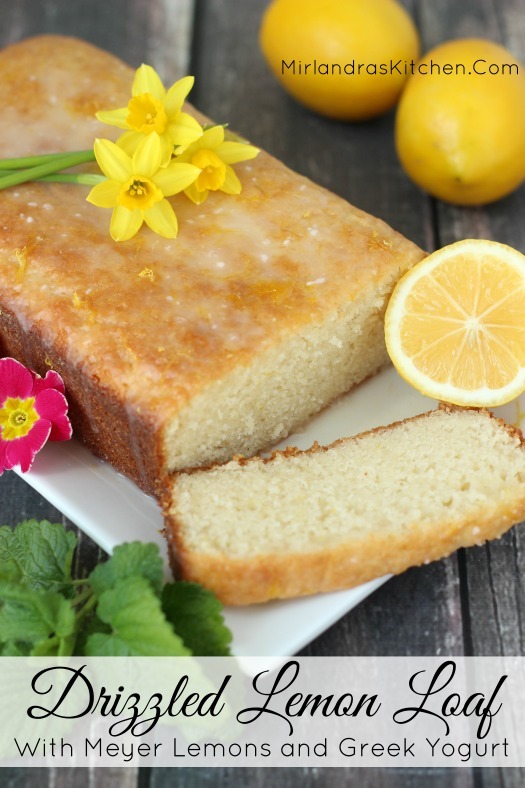 Try my amazing Drizzled Lemon Loaf. Simple lemon awesomeness! Preheat the oven to 350 F. Butter two 8.5” loaf pans and set aside. In a large bowl beat the sugar, oil, eggs and vanilla with an electric mixer on low until blended. Use a wooden spoon to stir in grated carrot and zucchini. Add the flour, cinnamon, pumpkin pie spice, baking soda and salt. Stir just until combined. Divide the batter between two loaf pans and bake for 45-50 minutes until a toothpick or cake tester comes out with damp crumbs but no wet batter. Cool for about 10 minutes on a rack while you prep the glaze. In a medium bowl, whisk together the powdered sugar and apple cider until no lumps remain. Pour over the loaves and allow to cool the rest of the way. Slice and serve. Thank you for the glaze information. I did not want to use icing. You are most welcome! I prefer a light glaze here myself instead of a more heavy frosting. I save that for my carrot cake!